On October 24, 2017, Cisco Talos was alerted to a widescale ransomware campaign affecting organizations across eastern Europe and Russia. As was the case in previous situations, we quickly mobilized to assess the situation and ensure that customers remain protected from this and other threats as they emerge across the threat landscape. There have been several large scale ransomware campaigns over the last several months. This appears to have some similarities to Nyetya in that it is also based on Petya ransomware. Major portions of the code appear to have been rewritten. The distribution does not appear to have the sophistication of the supply chain attacks we have seen recently. Talos assesses with high confidence that a fake Flash Player update is being delivered via a drive-by-download and compromising systems. The sites that were seen redirecting to BadRabbit were a variety of sites that are based in Russia, Bulgaria, and Turkey. When users visited one of the compromised websites, they were redirected to 1dnscontrol[. ]com, the site which was hosting the malicious file. Before the actual malicious file was downloaded a POST request was observed to a static IP address (185.149.120[.]3). This request was found to be posting to a static path of "/scholasgoogle" and provided the user agent, referring site, cookie, and domain name of the session. After the POST the dropper was downloaded from two different paths from 1dnscontrol[. ]com, /index.php and /flash_install.php. Despite two paths being utilized only a single file was downloaded. Based on current information, the malware appears to have been active for approximately six hours before the server 1dnscontrol[. ]com was taken down. The initial download was observed around 2017-10-24 08:22 UTC. The dropper (630325cac09ac3fab908f903e3b00d0dadd5fdaa0875ed8496fcbb97a558d0da) requires a user to facilitate the infection and does not use any exploit to compromise the system directly. 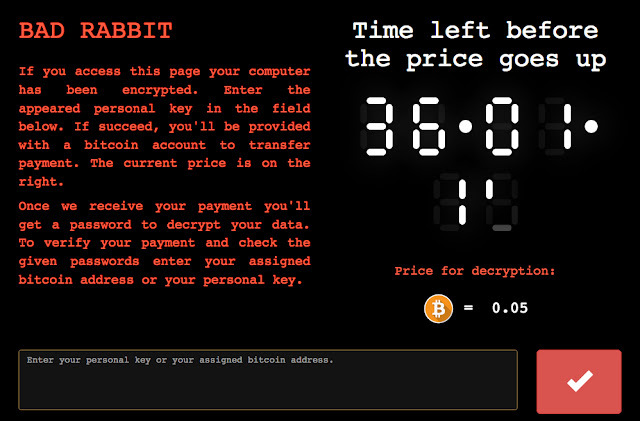 This dropper contains the BadRabbit ransomware. 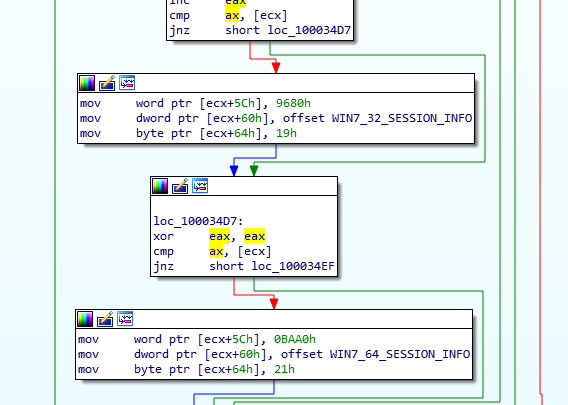 Once installed there is an SMB component used for lateral movement and further infection. This appears to use a combination of an included list of weak credentials and a version of mimikatz similar to that which was used in Nyetya. Below is a list of the username/password combinations that we have observed. Note there is overlap with the 1995 cult classic "Hackers". Despite initial reports, we currently have no evidence that the EternalBlue exploit is being leveraged. However, we identified the usage of the EternalRomance exploit to propagate in the network. This exploit takes advantage of a vulnerability described in the Microsoft MS17-010 security bulletin. The vulnerability was also exploited during the Nyetya campaign. Our research continues and we will update as we learn more. 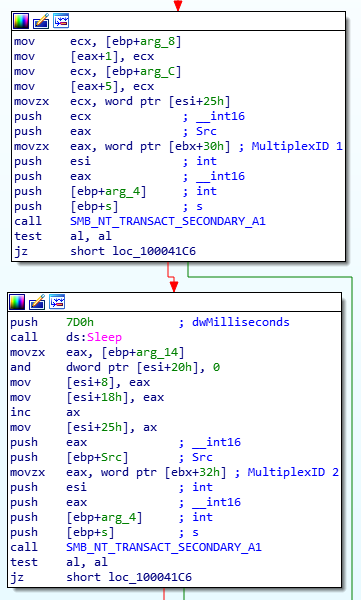 2 mimikatz-like binaries (x86/x64) similar to the sample seen during Nyetya. A popular open source tool used for recovery of user credentials from computer memory using several different techniques. In addition to the aforementioned scheduled task, the malware creates a second scheduled task that is responsible for rebooting the system. This second task does not occur instantaneously but is scheduled to occur later. If the names for these scheduled tasks look familiar they appear to be a reference to Game of Thrones, specifically they match the names of the dragons. The malware also creates a file on the infected user's desktop called DECRYPT. Executing this file causes the following ransom note to be displayed to victims. To demonstrate how quickly these sorts of threats can propagate globally, the below graphic reflects the DNS related activity associated with one of the domains that were being used to distribute the fake Adobe Flash update that was used to drop the malware on victims' systems. The malware modifies the Master Boot Record (MBR) of the infected system's hard drive to redirect the boot process into the malware authors code for the purposes of displaying a ransom note. 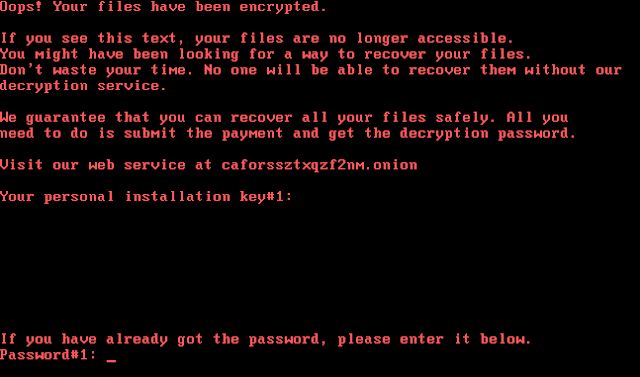 The ransom note that is displayed following the system reboot is below, and is very similar to the ransom notes displayed by other ransomware variants, namely Petya, that we have observed in other notable attacks this year. Cisco Talos has identified an exploit in the BadRabbit sample. It is very similar to the publicly available Python implementation of the EternalRomance exploit that is also exploited by Nyetya. However, the BadRabbit exploit implementation is different than the one in Nyetya, although it is still largely based on the EternalRomance exploit published in the ShadowBrokers leak. Once again, the BadRabbit code matches the leak_frag_size() function in the public exploit. After the NT Trans check, the sample sends multiple NT_TRANSACT_SECONDARY commands using different MultiplexID values. The equivalent is also performed by the public exploit Python script implementation in the function write_data(). Finally, we can confirm the findings of the static analysis by looking at the traffic generated by a pcap capture. With all this in mind, we can be fairly confident that BadRabbit includes an EternalRomance implementation used to overwrite a kernel’s session security context to enable it to launch remote services, while in Nyetya it was used to install the DoublePulsar backdoor. Both actions are possible due to the fact that EternalRomance allows the attacker to read/write arbitrary data into the kernel memory space. 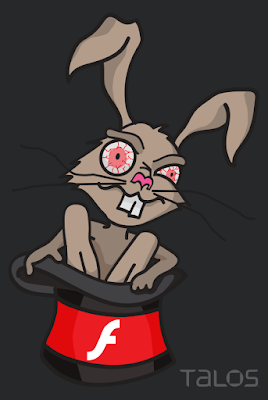 that BadRabbit is built on the same core codebase as Nyetya. that the build tool chain for BadRabbit is highly similar to the build tool chain for Nyetya. 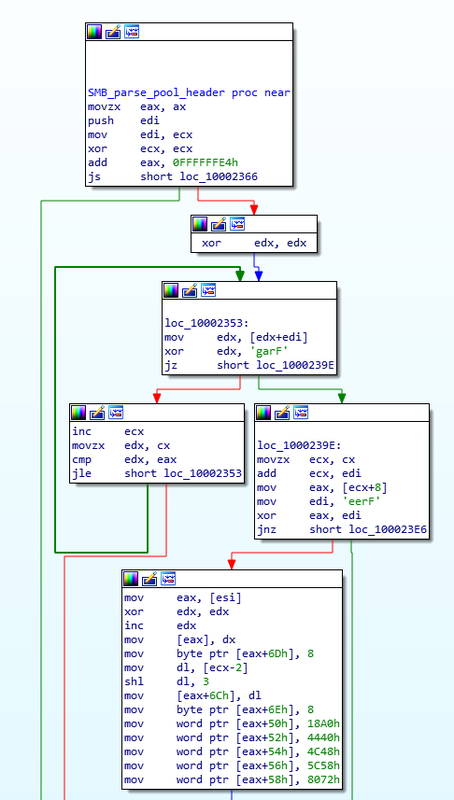 The evasion techniques present in the modifications to the DoublePulsar backdoor in Nyetya and EternalRomance in BadRabbit demonstrate similar, advanced, levels of understanding of the exploits involved, the network detections in place at the time of deployment, and general Windows kernel exploitation. The shared codebase was modified for the BadRabbit build. Instead of leveraging PSEXEC, the remote file placement and remote Windows Service management was directly implemented. A second export was added to the dll that allows the remote execution to restart itself in a new rundll32 process, possibly to avoid having the parent process be clearly started as a service. The SMB implementation that Nyetya contained for leveraging SMB exploits has been replaced with an entirely different SMB implementation as well as a different exploitation technique. The post-reboot drive encryption with Petya has been replaced with drive encryption with the open source DiskCryptor. Unmodified functionality from Nyetya includes the self-relocation of the malicious dll, process and thread token manipulations, network peer identification, and thread-safe collections for managing credentials and target information. Lightly modified functionality which demonstrates source level modifications are found in the flow of the malicious entrypoint, the interaction with the embedded and modified mimikatz, and in aspects of the system initialization and bitflag based feature control. While these links are not absolute proof, based on these findings Talos assesses with low confidence that the authors of Nyetya and BadRabbit are the same. This is yet another example of how effective ransomware can be delivered leveraging secondary propagation methods such as SMB to proliferate. In this example the initial vector wasn't a sophisticated supply chain attack. Instead it was a basic drive-by-download leveraging compromised websites. 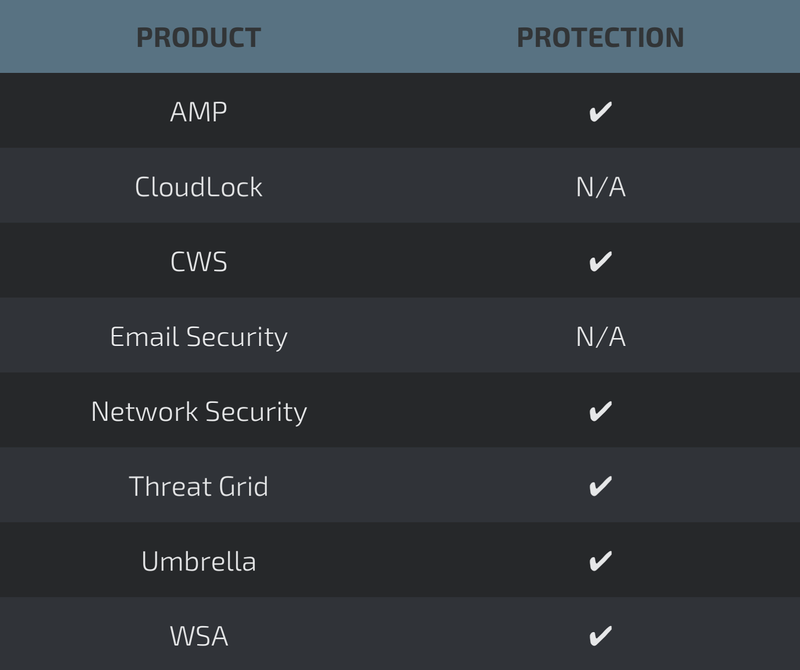 This is quickly becoming the new normal for the threat landscape. Threats spreading quickly, for a short window, to inflict maximum damage. Ransomware is the threat of choice for both its monetary gain as well as destructive nature. As long as there is money to be made or destruction to be had these threats are going to continue. This threat also amplifies another key area that needs to be addressed, user education. In this attack the user needs to facilitate the initial infection. If a user doesn't help the process along by installing the flash update it would be benign and not wreak the devastation it has across the region. Once a user facilitates the initial infection the malware leverages existing methods, such as SMB, to propagate around the network without user interaction. Network Security appliances such as NGFW, NGIPS, and Meraki MX can detect malicious activity associated with this threat. Email has not been identified as an attack vector at this time. 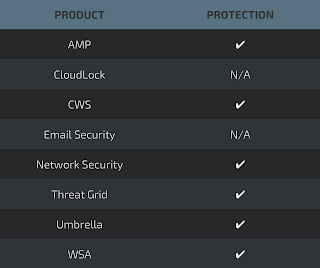 The malware, if transferred across these systems on your networks, will be blocked. You would think "don't download random pop ups" would be common sense but alas.. Keep fighting the good fight. If only people could download common sense. You guys always to an excellent job with this stuff. Timely, relevant and well written. Thank-you. All of them part of 2017-10-25-001-vrt.